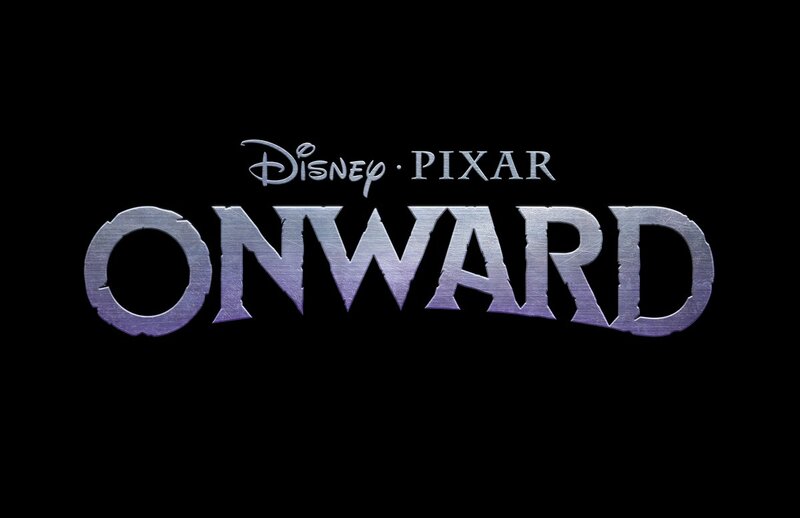 Pixar have announced the title for their next original feature releasing on March 6 2020 – Onward. Up to this point, Onward (which has been described as a ‘modern fantasy’ film), directed by Dan Scanlon (Monsters University) and produced by Kori Rae, has been under the working title “The Untitled Pixar Film That Takes You To A Suburban Fantasy World“. It was first announced at the 2017 D23, and takes place in a world where fantasy has almost become mundane. Chris Pratt and Tom Holland will play the teenage elf brothers who set out on a journey together in the hopes of rekindling magic and spending one last day with their late father. Julia Louis-Dreyfus and Octavia Spencer have also been revealed as cast members. This isn’t Louis-Dreyfus’ first time lending her voice to a Pixar character – she voiced Princess Atta in A Bug’s Life way back in 1998! The film is inspired by Scanlon’s own life and relationship with his brother – Scanlon’s father passed away when he was only a year old. Now that the title has officially been revealed, we can all look forward to more plot and character details being released. Following the official release of the title, Pixar employees on Twitter have been expressing their excitement about working on the film. Pixar animator Austin Madison compared Onward to a Tolkien story, suggesting that this is a kind of fantasy that the studio has never explored before. Tolkien stories tend to have epic journeys, incredible amounts of lore, strong bonds between characters, and a lot of heart. We never knew that Pixar tackling a Tolkienesque fantasy feature was a thing that we needed, but this news has made the wait for Onward (or at least some more news on it) all the more excruciating. Amidst all the excitement for the Academy Awards, you may have missed the news about Pixar’s schedule for their future movie releases. On March 1st, Disney announced the release dates for over 40 movies, including 7 new Pixar movies. Some we already know about, and some remain complete mysteries. Now, we already know about Incredibles 2 and Toy Story 4 of course, but there’s very little information on the Pixar movies beyond 2019. It’s amazing to think that in exactly two years on this very day (March 6 2020), Pixar are planning to release a movie that we might know nothing about. At last year’s D23, we did learn about a brand new, original Pixar movie directed by Monsters University‘s Dan Scanlon – “The Untitled Pixar Film That Takes You To A Suburban Fantasy World“. This film will take place in a world where unicorns and dragons are the norm – Scanlon describes it as “a mixture of the fantastic and everyday”. As this is the only Untitled Pixar Film that we have even a fraction of information on, it feels safe to assume that this intriguing film will occupy one of the 2020 spots. Both Pete Docter (Monsters Inc, Up, Inside Out) and Brian Fee (Cars 3) have been reported to be working on original films, but beyond that, this new movie schedule is full of mystery and our minds are already racing. Pixar are clearly feeling confidently ambitious by planning on releasing two movies in both 2020 and 2022. It’s also interesting to note that no Pixar movie has ever been released in March before, and now two March movies are on the table. Perhaps this is a sign of a change in marketing strategies, or just a byproduct of the release schedules for competing movies throughout the year. Should we expect to see more sequels on the horizon? If so, which films would be most likely to gain an addition to their franchise? And if Pete Docter and Brian Fee are indeed working on new, original films, what amazing worlds are they going to transport us to? We’re stepping into the unknown now, and it feels great. The d in D23 should stand for dream, because it’s a dream come true for anyone lucky to attend. While your faithful writers here at Pixar Planet weren’t at the convention center in Anaheim, we do have plenty of news that’s sure to get you pumped for Pixar’s upcoming slate! Lee Unkrich’s tribute to Mexico’s most famous holiday will be released on Thanksgiving. Coco “explores the universal themes of family bonds as well as celebrating the past.” A new image of main character Miguel with Hector, his guide in the spirit world, was revealed at D23. Anthony Gonzalez, voice of Miguel and Benjamin Bratt, who voices Miguel’s idol Ernesto de La Cruz, performed a song at the panel’s conclusion. It was penned by the duo behind the music of Frozen, Bobby Lopez and Kristen Anderson-Lopez. Check out this video celebrating fashion’s most intrepid designer, Edna Mode! John Lasseter announced that the fourth installment will be directed by Josh Cooley. Cooley shared a director credit with Lasseter, but now the film is being solely directed by him. We’re excited for his debut! “…the untitled Pixar project will follow two characters who must go on a quest to track down their lost father, a man they known nothing about.” The project has some personal undertones for Scanlon, who lost his father at a young age. Hopefully this newest film will quell any lingering worries about Pixar’s reliance on sequels, and the persistent belief that they no longer are capable of original stories. No release date has been set. A big thanks to our friends over at The Pixar Times for their coverage! Let us know which films you’re looking forward to most. Pixar has recently announced the directors of two upcoming films with very little fanfare. Tucked in away on a list of Pixarians to follow on twitter (what, you weren’t following them already? ), the directors of both Cars 3 and The Incredibles 2 were revealed. We previously wrote about the sequel to everyone’s favorite superhero family in November, but we didn’t know for sure if Brad Bird, who is writing the script, would also return to the director’s chair. As it turns out, he is! This makes the second film all the more exciting. Dan Scanlon, director of Monsters University, will be helming Cars 3. Scanlon, as evidenced by his twitter, has always brought a unique humor to his projects, and we’re definitely eager to see this next installment in the Cars franchise in his hands. We also have to wonder if Scanlon’s involvement will bolster Cars 3’s standing with fans. The announcement drew tepid responses at best and flat out negative ones at worst. It’s rather interesting that directors for these films have been confirmed when the reaction to both has been so overwhelmingly different. But as always, we here at Upcoming Pixar are excited to see what’s next and to support all our favorite Pixarians! UPDATE: apparently, Oh My Disney was mistaken about Dan Scanlon. He will not be directing Cars 3, but he is working on another original project. Still plenty to be excited about!